December | 2012 | Linden Optometry A P.C. A celebration luncheon was held at Linden Optometry’s headquarters in Pasadena on Thursday, December 27, 2012, to thank all of the employees for helping the company win yet another award. 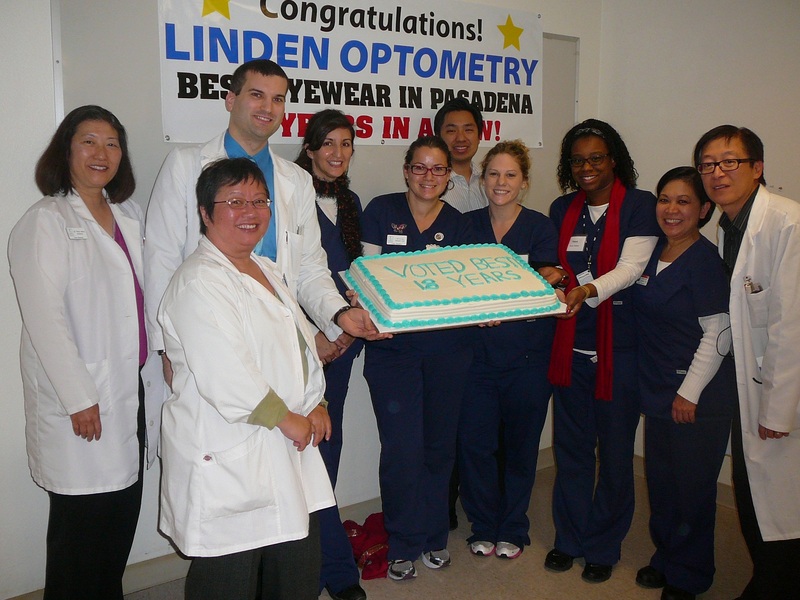 Linden Optometry was voted “Best Eyewear in Pasadena – 2012” in The Pasadena Weekly Readers’ Poll last month. This is the 18th year in a row that Linden Optometry has received this prestigious recognition. The luncheon was attended by over 50 employees, including Optometrists, Opticians, Optical Lab Technicians, Contact Lens Technicians, Receptionists, and many more.